RiddimStream.com-Vybz Kartel a.k.a Addi the Teacha is reassuring fans in the island of Antigua that he will be performing this weekend at the 'Gully Meets Gaza' show which will also feature Bounty Killer. "Whenever Antigua calls, Vybz Kartel will always answer. I will be at Cherry's event, and the fans should not be anxious about whether I will be coming or not, I will be there," he said emphatically in a release. "The fans can come out and expect the Portmore Empire to give them a great show that they won't forget anytime soon." Vybz Kartel is a very popular figure in Antigua and performed at an Antigua Sting event in January that attracted a huge crowd at the popular Millers by the Sea venue. 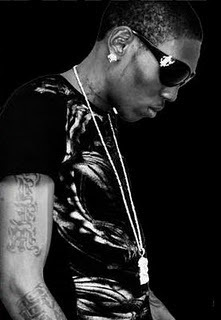 At that event, fans will remember that Kartel was the Last Man Standing at the event and his Ramping Shop collaboration with Spice earned three huge forwards.